While in past knee replacements were considered only for the older generation, today even those in their 40s with degenerative knee conditions and knee injuries are electing to undergo knee replacement to continue their active lifestyle with excellent results. Knee replacement is in fact the most common joint replacement surgery with over 721,000 surgeries being performed in the US. 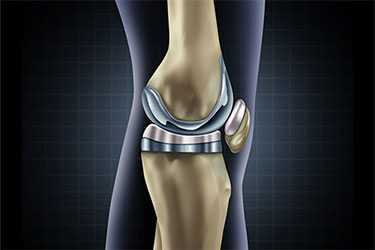 The number of knee replacement surgeries have increased by over 161% between 1991 and 2010. Success rates for knee replacement are also very high with 9 out of 10 people experiencing immediate pain relief and 95% reporting satisfaction with the procedure. In terms of longevity, 90% of the implants last 10 years and 80% remain in good condition even after 20 years. In terms of functionality, you can expect to do a lot more than just go for a walk around the block with today’s knee replacements. Statistics indicate total knee replacement offers profound improvement in physical activity level for most patients. Surgical procedures and implants are constantly being improved and the implants upgraded to provide longer-lasting and better-functioning implants. The replacement materials are more durable and constructed to minimize the amount of wear. Knee replacements techniques are also becoming less invasive and more tissue sparing resulting in faster recovery and return to normal activities. Some manufacturers offer specialized training to surgeons in the use of their implants. Indeed, advances in medical technology have led to the use of robots in performing knee replacements. Robot-assisted knee replacements have been shown to facilitate greater bone preservation due to increased accuracy and precision of implant placement. A greater variety of implants are also becoming available which allow for a better match in terms of size and shape requirements of the individual knee. There are even gender-specific implants which take into consideration the difference in size and movement of male and female knees. All these improvements have resulted in better long-term outcomes and high success rates of total knee replacement.